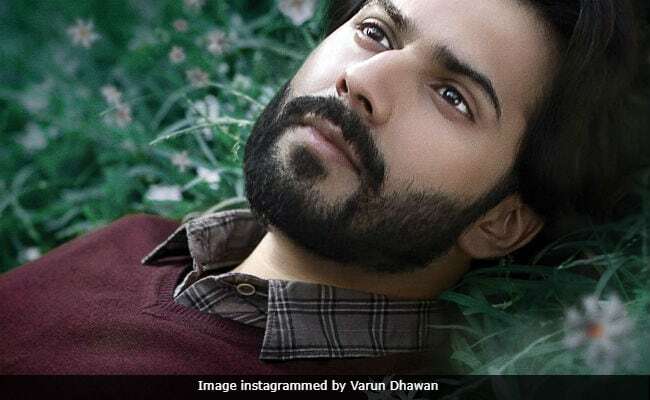 Ques:Hello, am I speaking to the superstar Varun Dhawan? Varun Dhawan: (Laughs) No, this is Dan (the character from October). I still haven't come out of my character. This is that kind of an experience which I can't just leave behind. Ques:Dan is not heroic in the filmy sense. What made you play such a character at this stage of your career? Varun Dhawan:This is what I was asked when I did Badlapur. I hope this question keeps coming up in my career. Ques:You will continue to seek out roles that push the envelope? Varun Dhawan: Not just push the envelope, but phado (tear) the envelope. I am not interested in doing unconventional roles that don't go all the way. I don't want to take sides as far as doing mainstream and unconventional roles are concerned. Ques:The collections have increased manifold. Varun Dhawan: Yes, a day after the release, the audience began to increase considerably. That was very reassuring. People have connected with the film. What we see in October is what everyone goes through in life. Ques:Would you be doing more such 'tearing the envelope' roles? Varun Dhawan: Yes, absolutely. But it has to be a character like the one in October who is completely honest even about his dishonesty. We all lie to others and to ourselves. But how often is the hero allowed to admit his weaknesses on screen? Ques:I didn't like the way the journey ended? Varun Dhawan: I know. A lot of people have told me it shouldn't have ended the way it did. But this was the only way it could end. If we changed the inevitable, we would be cheating. Ques:You've had cent-per cent success so far. Even your awful Dilwale is considered a hit. Do you think October will not interrupt your success spell? Varun Dhawan: About Dilwale, even today you will be surprised at how many people tell me they love that film. When I decided to do October, I put my entire soul into it. After Badrinath Ki Dulhania and Judwaa 2, I could have done another blockbuster kind of film. But I wanted to do a character which was not so high on self-confidence. Varun Dhawan: I am 30. So I am actually not as inexperienced in things like illness and grieving as you might think. I've watched both my parents lose their parents and how it affected them. And I saw how my mother did the seva (tending) of her parents when they were ill.
Ques:I believe you took a massive remuneration cut in October? Varun Dhawan: I wasn't even thinking about money when I got the chance to do October. I just wanted to be part of this film. Ques:What is your biggest takeaway from this film? Varun Dhawan: It has definitely taught me to be more considerate towards others. It is not just important to feel for someone. It is also important to express that feeling. This film has also taught me to be sensitive about what goes on around me. Ques:And yet you've moved out of your family home into your own place? Varun Dhawan: That's because I needed more space. And my own private space. Ques:Did you buy your home as preparation for marriage? Varun Dhawan: Nothing like that. Of course it will happen in good time.